Are you a fashionable woman always giving expert fashion advice for free to others? Well, have you considered making it official by creating your own fashion blog? 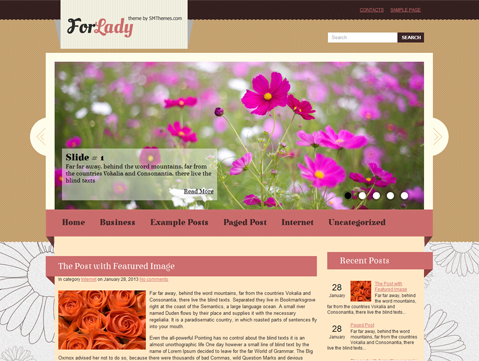 Here’s an easy solution — ForLady premium WordPress theme. A one-stop all-encompassing theme that has everything you need for a great website. The free WordPress theme has an impressive combination of grey and tan colors and customizable sidebars that make this theme an exciting choice for a blog or a site. So download and install the theme to get started on your dream site today.